In this edition of From the ATRA Archives presented by Salomon, Ben Nephew, then 25 years old, shares his experience from the 2001 edition of the 7 Sisters Trail Race in Amherst, MA. Ben’s article was first published in our Trail Times newsletter issue 25 (2001). Race results from the 2001 7 Sisters Trail Race can be found on coolrunning.com. 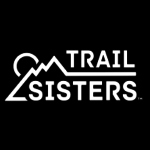 The 7 Sisters Trail Race celebrates its 29th running on May 4, 2019. Since this race took three years to develop, this is going to be a long story, unless my left hand seizes up (I’ll get to that in a moment). 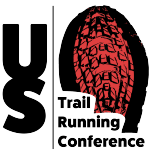 The 7 Sisters Trail Race is the most difficult trail race in New England. It consists of 12 miles with 5100 feet of climbing and descending 7 peaks of the Mt. Holyoke range in Hadley MA. 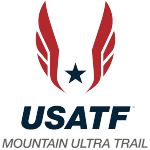 It was one of the first trail races I ran when I started back in 1999. The trail is 6 miles, done out and back, and there are numerous places where you need your arms to climb or, coming the opposite direction, to save you from falling off of ledges onto 70-degree or steeper rocky slopes. Now you have a general idea of the trail. I was a brash young gun when I ran the race in 1999. I had scouted out the course two weeks prior, so I knew where I was going. From the gun I took the lead and battled with the defending champ, Leigh Schmitt, showing no respect for difficulty of the course. We kept pushing each other, and at one point, I thought I had broke him when I managed to put a few steps on him. Right then, he blew by me and rapidly opened up a gap on murderous 300-foot climb. I tried to claw my way (literally) back, but Leigh powered away for a 15 second win. That was one of two trail races I lost that season out of about 12 (the other was to Dave Dunham, and that doesn’t really count). In 2000, I desperately wanted to win the Sisters, and had thoughts of going after the course record of just under 1:47. Last year I had run 1:55 and had made a lot of progress since then. I figured I needed more endurance to outlast Mr. Schmitt, so I tried to up the mileage. Unfortunately, my biggest week, at 104 miles, ended four days before 7 Sisters. I felt fine the day of the race, but the temperature was an uncharacteristic 80 with about 90% humidity. John Blouin and I hung with Leigh for about half the race, when we both began to suffer from the heat. One of my toenails was ripped off on the incessant downhills, my heart felt like it was going to explode, my legs were pure jelly, and I was dizzy from the heat. It wasn’t even close as Leigh finished in 1:58 with John and I 6 minutes back. How he broke two hours on a day like that I will never understand. Ben Nephew on his way to 4th place at the 2001 New England Mountain Running Championships just one week after winning 7 Sisters. By race day this year I wanted it so bad I could taste it. After last year’s race, I beat Leigh by substantial margins in two other races, but his legend at 7 Sisters was unblemished. He had three wins in a row, and the year before that, his brother Keith won. Their whole family would be out on the course on race day to hand him drinks and cheer him on. Leigh wasn’t the only guy I had to worry about this year, the field was loaded with the best trail runners from all over New England. Peter Keeney had run me ragged for almost three hours at the Escarpment Trail Race last year, and had just beaten Leigh a few weeks ago. A brash young buck by the name of Tom Temple had almost made me wet myself with his mindless downhill plunges at Escarpment. Tom Fargo, who has won Escarpment a record 7 times was also on hand. This should be fun. As soon as I stop worrying about who is on the starting line, the gun goes off and some dude with huge quads passes Leigh and I and starts hammering up the first 400-foot ascent. Great, some new guy to worry about. I had decided to respect the course this year and realized that the race is going to be won in the second half. I’ve never known anyone to run the course more consistently than Leigh, so I planned to stay with him. When the quad-master took off and disappeared all of a sudden, I had a sudden urge to get back in contact, but I stayed behind Leigh and tried to relax and conserve my energy. Thirty minutes into the race, we caught sight of him; he was actually behind two other runners who must have passed us during one of Leigh’s famous wrong turns (you would think he would know the trail, but this is quite common for him). It was a shock to be in 5th place with two other runners close behind 30 minutes into the race, usually it is just Leigh and I by this point. It was a perfect day for running, mid fifties with a nice breeze at the higher elevations, and everyone was feeling good. We settled into a pack of five or so, and made good time. The other runners let Leigh and I to the front, and I waited for him to make his move. We all got to the turnaround together and as everyone went for drinks and energy bars, I ran in a circle until Leigh was ready. Ben Nephew after finishing 4th at the 2005 Cranmore Mountain Race. The climb from the turn around is about 500-600 feet, and I was a little worried about pushing too hard, but Leigh was slow going trying to eat a PowerBar and drink Gatorade while running. I passed and slowly pulled away on the ascent. I expected him to catch me after his lunch, but I wasn’t going to give it to him. For a two-hour run in perfect conditions, I didn’t feel the need to take anything, I could still taste the Gatorade I drank before the race. The more of a lead I got, the more paranoid I was about dying before the finish. I tried to get out of sight while not burning myself out. Friends of mine still on their way out cheered me on, but all I could do was try to return the favor with a smile trailed with drooling phlegm. I still felt strong 80 minutes into the race, but told myself to be cautious and wait for the last half hour to pick up the pace. It is difficult to know how far ahead you are in these thickly wooded races, so I could not relax much at all. All of sudden I got to the water stop about 20 minutes from the finish and realized I was getting pretty close. Even though I felt strong compared to last two races, I still crawled up the last monster hill. As I began a downhill on rubbery legs, I got mad at myself for running defensively and worrying about being passed. I then had the uneasy feeling of pulling a Bill Rodgers: my shoelace was untied! I stopped quickly and tied it with shaking fingers before bolting back into a wooded section of the trail. What if Leigh saw me all of a sudden and it gave him hope of catching me. I decided that if anyone was going to catch me know, they were going to have to kill themselves trying. I hammered the uphills and threw myself at the downhills, but I was thinking of too many things to focus on the trail as much as I needed to. In a split second, I crashed to the ground on a rocky downhill. I got up as fast as I could and fortunately could still run, so nothing major was broken (I probably should have checked this out before I stared running). My hand was bloody and my right leg had a nasty Charlie horse, but there wasn’t anyone to help me on the trail so I figured I better get to finish. OK, so didn’t care what the heck was hurt as long as it didn’t slow me down too much. There was no way I was going to lose this close to the finish. The adrenaline took care of most of the pain and I enjoyed the last downhill with a big lead, feeling relief at having finally won, and satisfaction at having run a smart race. I had run 1:52:58, which meant that I ran even splits. Nobody runs even splits on this course, so I was more pleased with that news that getting the win. Ben Nephew climbing some Northeast U.S. gnar in modern times. Photo courtesy of Mountain Peak Fitness. Without the fall and the shoe problems, I know I could have run about 1:50. Could I have gotten the course record if I had been a bit more bold? Maybe, but there is always next year. I ended up winning by almost 3 minutes over Leigh, with Peter Keeney and Paul Young less than a minute behind. Oh, I almost forgot to talk about my injuries. When I fell, I tried to put my hand out, but ended up doing a cartwheel off my left shoulder and bouncing down the trail. My left hand must have been crushed underneath me, because it was scraped on the top and swelled up quickly following the race. Besides the hand, nothing else is that major. As I look at it right now, it looks like I gave the Old Man of the Mountain a punch in his granite jaw. My knuckles, instead of being bumps, are now dimples due to swelling, and ice has not helped all that much. The funny thing is, it really doesn’t hurt much at all, but I might have it looked at just to be sure. After the race, the local trail shaman sprinkled some goldenrod powder on my skin wounds, which stung a little and quickly promoted the formation of a scab. I may come to practice tomorrow, so you can check out my war wounds. Stephanie finished as the 7th woman in a star-studded women’s field where the first two runners demolished the course record. We managed to stumble around some of the other trails in the Mt. Holyoke state park, while trying to figure out why we ran these crazy races. The relief of having the race over with is almost worth it, but not quite. Maybe it is how you are actually challenging the trail more than the other runners or the clock, because my moment of crisis came when I feared that the trail would reduce me to crawl, not when I worried about winning or running a certain time. Seven women gave me a good beating on Sunday, but I got up and ran away. It seems strange to call that a victory, but it was.